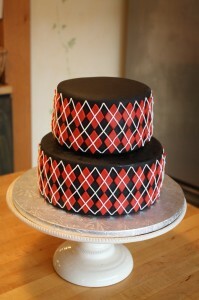 This unique wedding cake was created in an argyle pattern. 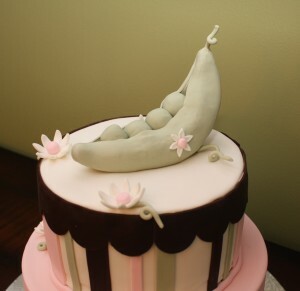 It’s always fun to create an interesting, non-traditional wedding cake. 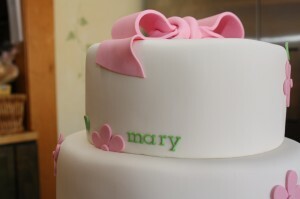 The bride added her own special cake topper. 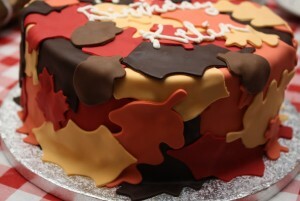 This is how it looked before it left the bakery. 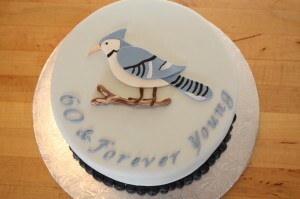 As soon as we get a copy of the final cake i’ll post it here too. 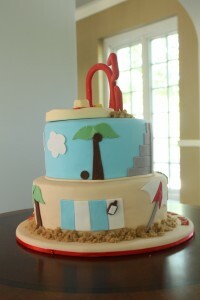 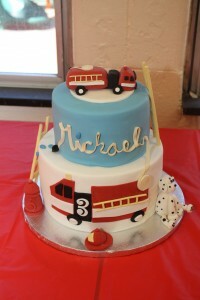 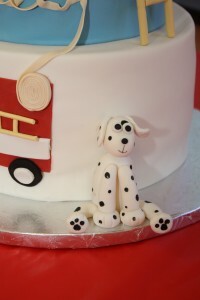 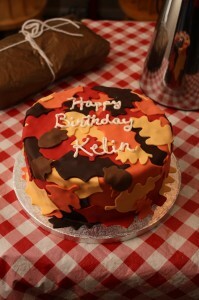 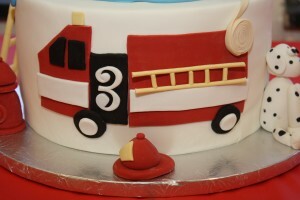 This fun cake was made for a three-year old birthday boy who loves fire trucks! 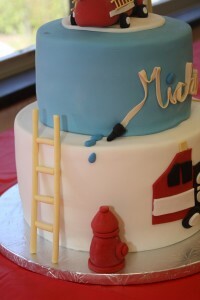 His name is spelled out of a fire hose. 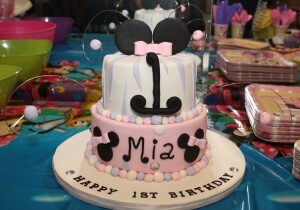 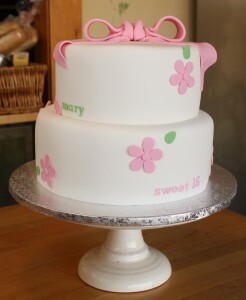 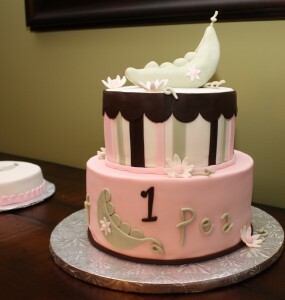 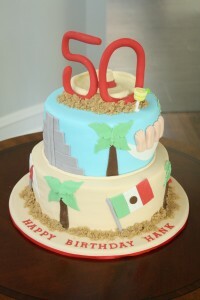 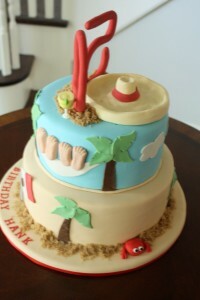 This cake was so much fun to make. 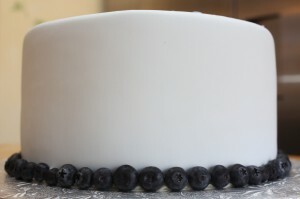 The top tier was deep dark chocolate cake with strawberry preserve filling and chocolate buttercream. 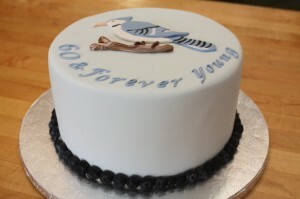 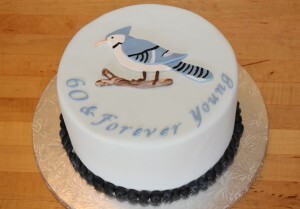 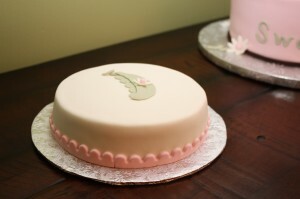 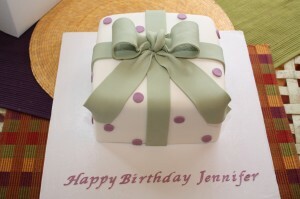 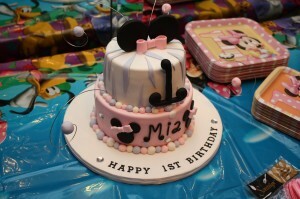 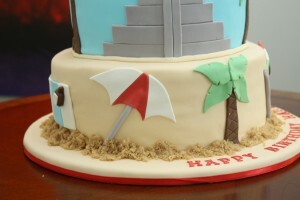 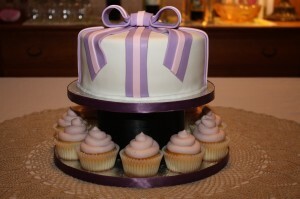 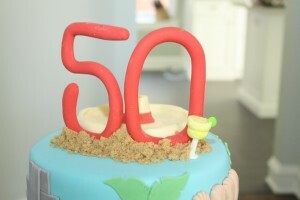 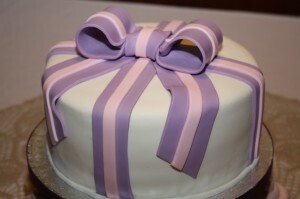 The bottom tier was vanilla bean cake with strawberry preserve filling and vanilla buttercream.